These lovely individuals, (couple rather) is undoubtedly on top of their career. They're dominating showbiz with their charm and magic that makes everyone swoon. 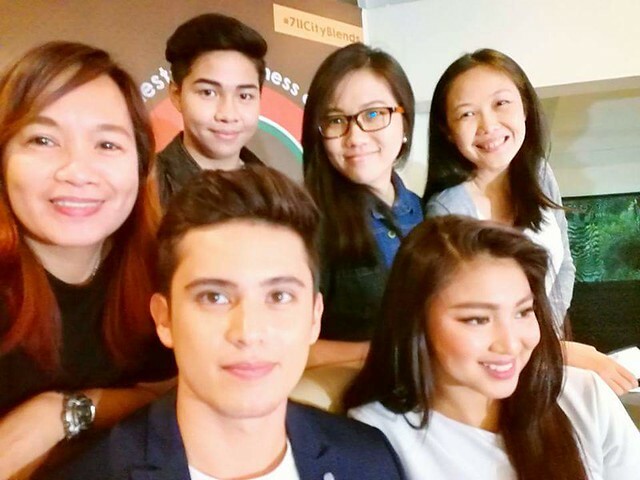 Just a couple of days back on the #JaDineFor711 event. 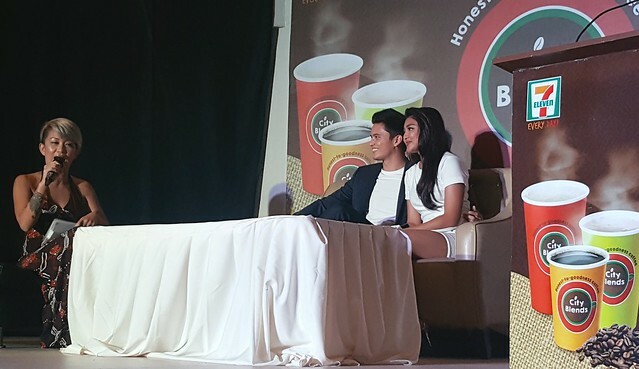 James reveals that Nadine always brings the third wheel on their dates? Little did I know he was actually referring to City Blends coffee. Lol! The reel-to-real life couple shares coffee often helps them get through the day. For getting much-needed confidence for client presentation, kick-starting your day or as a way to ask someone on a date. 7 Eleven’s City Blends Brand new celebrity endorsers choose from honest-to-goodness coffee, four distinct flavors – French Vanilla, Mochaccino, Brewed Coffee, and Hot Chocolate. “I prefer Brewed Coffee. 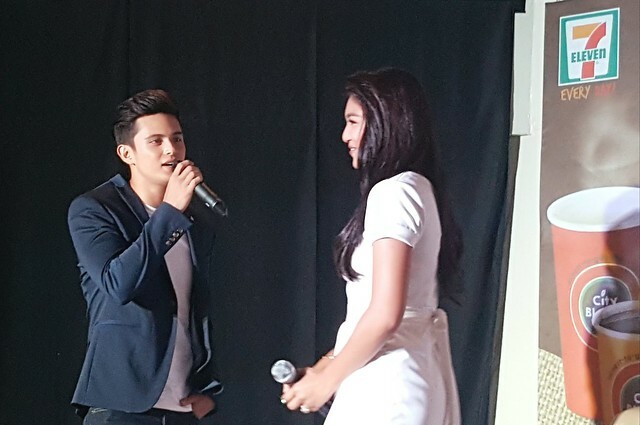 It helps me focus on set where there are so many distractions,” said James Reid. Nadine Lustre, on the other hand, loves City Blends French Vanilla. “For me naman, I prefer my coffee sweet, as the added creamy taste perks me up,” she shared. Made from 100% Arabica beans, the City Blends Brewed coffee boasts of an intense flavor that perks you up – perfect for those moments that you need to focus and get something done right away. On the other hand, if you like your coffee frothy and sweet, French Vanilla elicits that kilig feeling brought on by its creamy sweetness. Meanwhile, if you’re feeling like you need that perfect balance of strong and sweet flavors, get Mochaccino – a perfect blend of coffee and delicious rich chocolate. In line with the launch of JaDine’s new City Blends TV commercials, 7-Eleven announces its two new promos – the JaDine Limited Edition Folder and Sticker set and the Big Bear Raffle Promo – through its CliQQ rewards program. Every City Blends cup purchased earns you e-stamps, which can be used to redeem JaDine collectibles – 8 oz entitles you to 1 e-stamp, 12 oz to 2 e-stamps, and 16 oz to 3 e-stamps – in the card/app when customers have their unique barcodes scanned. You need to collect City Blends e-stamps on your CliQQ App. There are 3 ways to redeem the limited edition JaDine Folder and Sticker set: 1) Earn 15 e-stamps and get the folder and stickers for free, 2) Earn 2 e-stamps and add Php 59, and 3) Buy it for Php 99. Promo runs from Sept. 28 to Oct. 22, 2016. 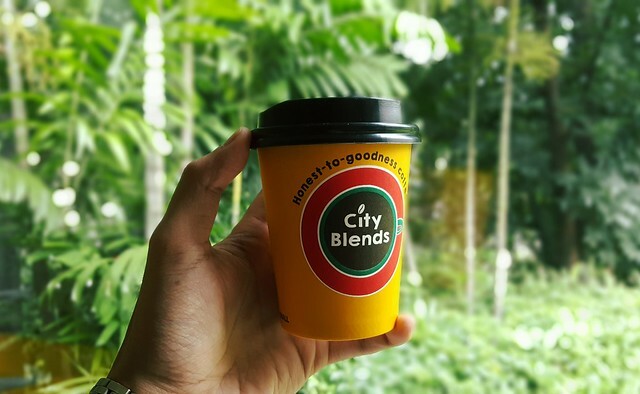 All 4 variants of City Blends are available in 740 7-Eleven stores nationwide. City Blends will be made available in 980 stores by the end of the year’s end. Stay tuned for more #JaDinefor711 posts! Follow 7-Eleven on Facebook, Twitter and Instagram, for more updates.